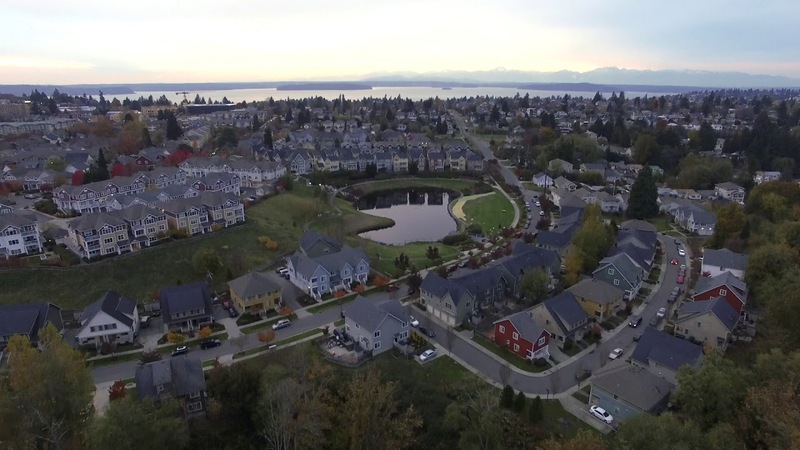 One of Seattle's most diverse neighborhoods, High Point is recognized as the first dense urban development in the nation to achieve sustainable, low-impact design on a large scale. Among its numerous environmental achievements, High Point is the first Energy Star®-certified multifamily community in the nation, and features one of the largest stormwater drainage systems in the country. A community made for meeting neighbors, committed to a green and sustainable lifestyle, where you can enjoy stunning views, inviting sidewalks, legacy trees, parks and open spaces. West Seattle is like an oasis in the middle of the big city. It has an authentic American small town character, with safe, tree-lined streets; and its own bustling downtown—West Seattle Junction. 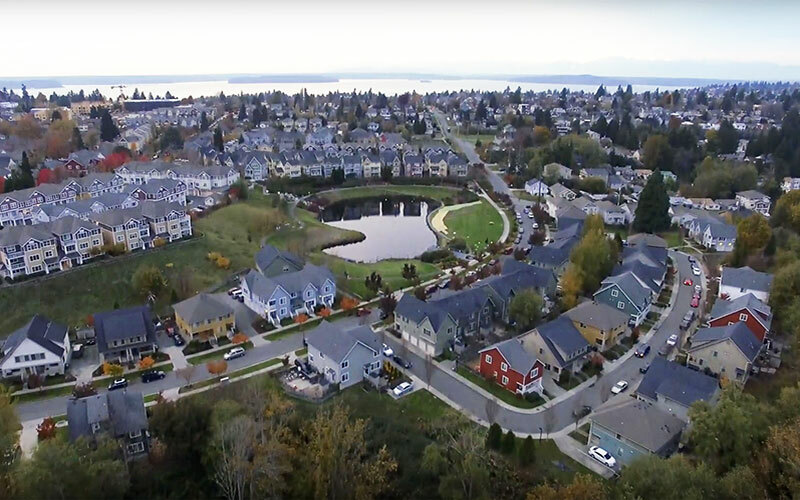 The High Point neighborhood is one of a kind – a place where you can find a brand new home, in a carefully planned community, right in the middle of one Seattle's most popular neighborhoods. 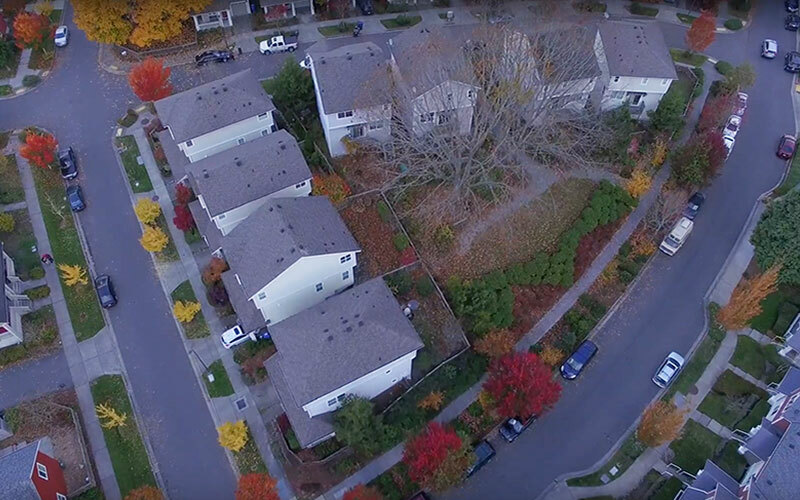 Take a full, aerial view of our exceptional, green, master-planned community with sustainable design in charming West Seattle. Are you eager to see the new homes available? We can’t blame you! 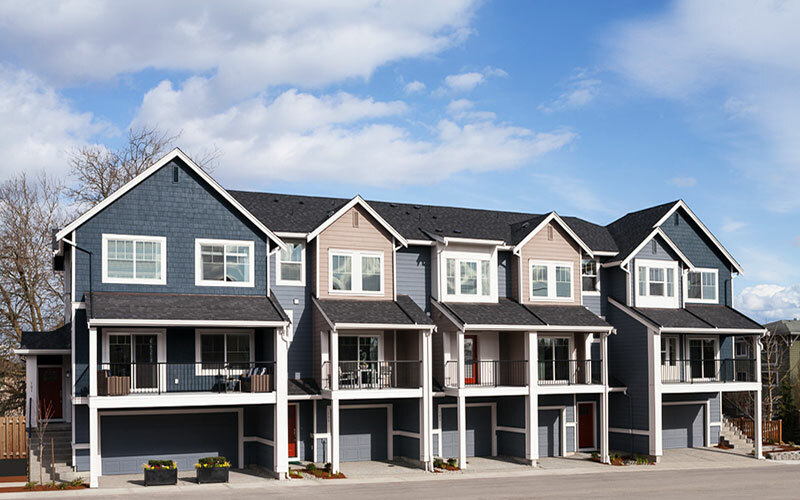 Right now, Polygon Northwest is featuring a very fast-selling collection of townhomes and single-family homes. Take a look at what is offered and contact us for more information, or visit their site. Everything’s Included, even Smart Home Automation! 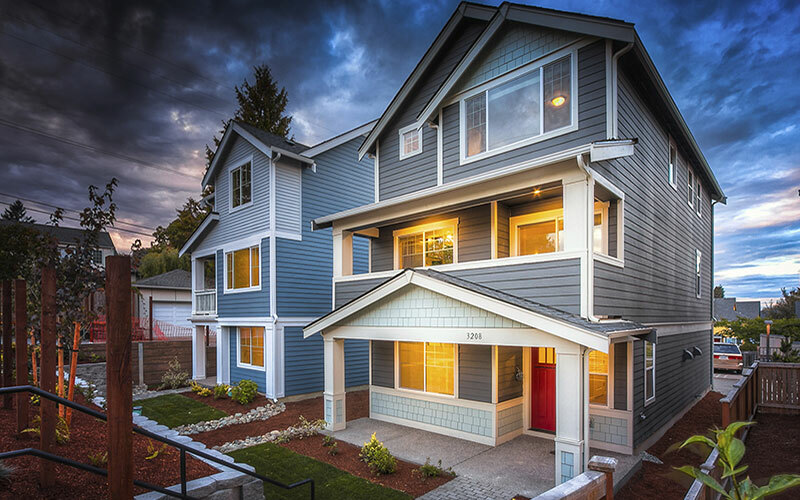 Lennar is proud to be building the world’s first WIFI Certified Home Designs in West Seattle, complete with the all the bells and whistles of a luxury new home, plus smart home automation included in every home at no additional cost. 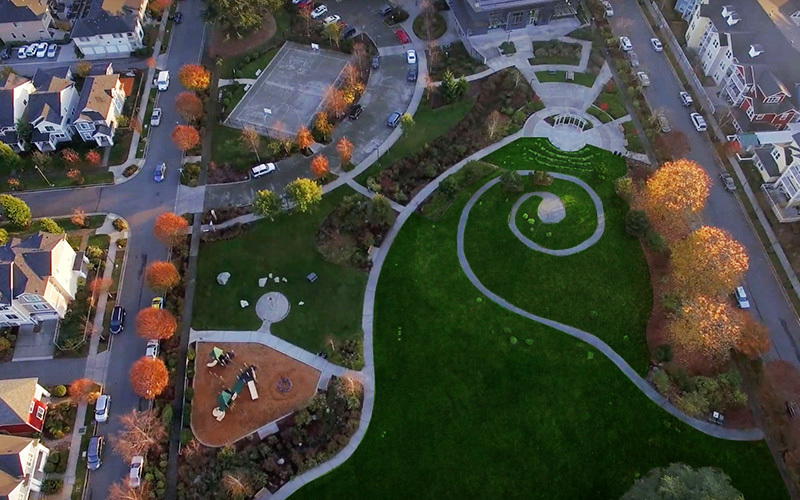 Seattle's Ultimate, Eco-Friendly, Master-Planned Community.